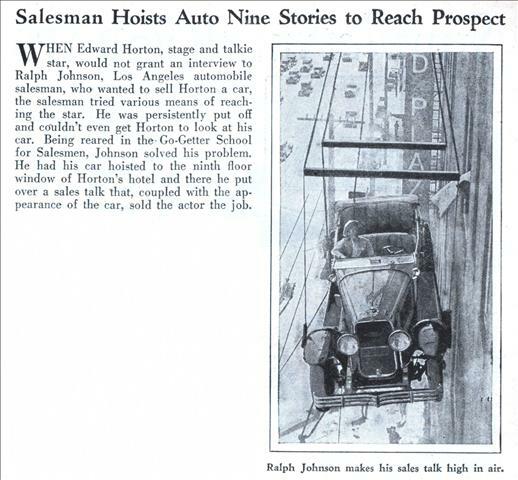 WHEN Edward Horton, stage and talkie star, would not grant an interview to Ralph Johnson, Los Angeles automobile salesman, who wanted to sell Horton a car, the salesman tried various means of reaching the star. He was persistently put off and couldn’t even get Horton to look at his car. Being reared in the Go-Getter School for Salesmen, Johnson solved his problem. He had his car hoisted to the ninth floor window of Horton’s hotel and there he put over a sales talk that, coupled with the appearance of the car, sold the actor the job. 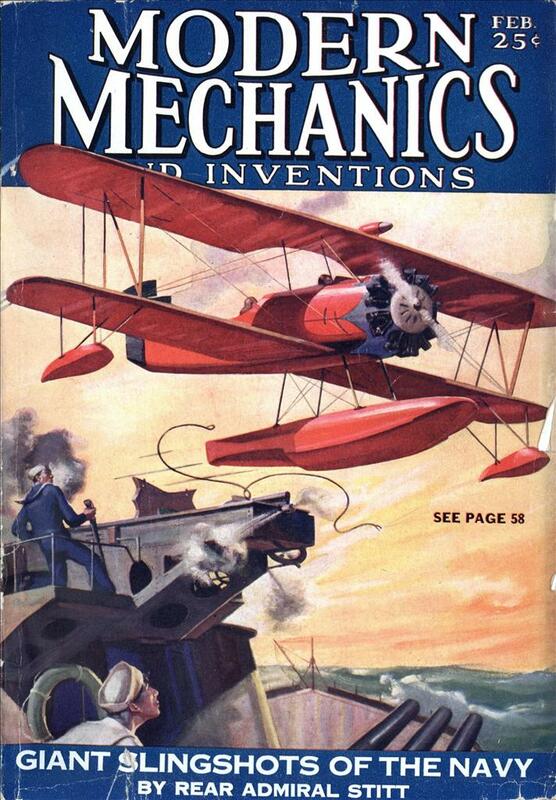 Looks like a scene from Harold Lloyd’s “Safety Last”!